This third-party sensor update for ROBOLAB supports the HiTechnic IRSeeker v2 (in all four modes) and fixes a Vernier bug. 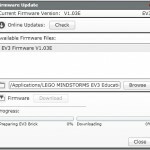 Note: Requires ROBOLAB 2.9.4 or higher. Note: you are replacing the current Sensors folder with the updated Sensors folder. Unzip “For the main robolab folder.zip”. Unzip “For the user.lib folder.zip”. There are three folders: “hitechnic sensors”, “mindsensors”, and “Vernier”. Note: you are replacing the current folders with the updated folders. 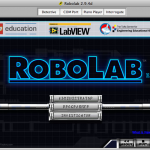 Restart ROBOLAB for the new icons to appear.